Home insurance policies are not all created equal — the type of policy and cover that’s best for you will depend on your specific needs. Our guide can help you to determine how much home insurance you need. The first thing to consider when taking out home insurance is whether you need buildings cover, contents cover, or both. Buildings insurance covers the structure of your home and its fittings, so is usually only suitable for those who own the property. If you rent your home, your landlord should take care of buildings insurance. While buildings insurance isn’t compulsory for homeowners, taking out a policy is usually a condition of your mortgage. 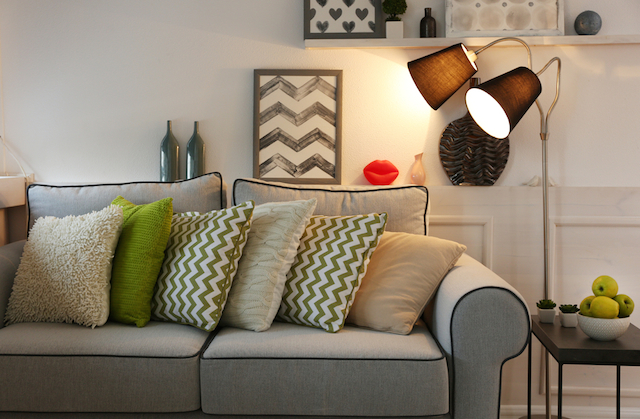 Contents insurance covers your possessions and is suitable for both homeowners and tenants. A contents insurance policy can cover anything from carpets and furniture to jewellery and even the food in your freezer — you should check your insurer’s policy to see what’s covered. Whether you’re taking out buildings or contents insurance, your insurer will need to know how much to cover you for. Not having adequate cover can be a serious issue if you need to make a claim. If it becomes clear that you’re underinsured, your insurer may only pay out a percentage of any claim, even if it’s not for the maximum amount. For example, if you’re only insured for £50,000 when you really needed £100,000 of cover, your insurer may only pay out 50% of any claim you make. Buildings insurance If you’re taking out buildings insurance, you may be asked the rebuild value of your property — this is not the same as the value of your house as it does not take location or land value into account. Your insurer needs to know the maximum they would have to pay in a worst case scenario, for example if the property is completely destroyed in a fire. The Association of British Insurers recommends this rebuild cost calculator. Contents insurance When taking out a contents policy, your insurer will either ask how much cover you need or will provide a set cover level, so it’s important to work out whether you’re getting all the cover you need. You should consider everything when working out your sum insured, not just your valuables but down to items like clothes, books and kitchen utensils. Remember that you don’t need to include the value of fixtures and fittings as these will be covered by your buildings insurance (or your landlord’s if you are a tenant), but you should include the cost of carpets and curtains. You can find out more about non-standard home insurance here, or call the number below for a specialist quote. By opting for a contents policy with a sensible ‘sum insured’ limit, you should be covered for most of your belongings should something happen to them. But most insurers will want to know about any specified items that are worth more than a set amount (usually £500-£1,500). You’ll need to consider whether you have any items worth more than this amount and whether you want them to be insured outside of your home (like jewellery, for example), or whether they’re likely to stay within your property at all times (art or furniture, for example). Policy add-ons can offer an extra layer of protection, so it’s worth considering whether you want to include them in your policy. Some policies will include these options as standard, whereas others might be available for an additional fee. Accidental damage cover By default, most buildings and contents insurance policies will cover for fire, theft, weather damage and other events out of your control. But if you’re worried about dropping your antique crystal or spilling red wine on your white sofa, you will need to ensure your policy includes accidental damage cover. Away from home cover Generally, contents insurance policies cover your belongings while they’re kept in your property. But what about the possessions you take out and about with you? Getting away from home cover (also known as personal possessions cover) can be a good way to insure your gadgets, such as mobile phones and laptops, and can be used to cover other items like bicycles and jewellery while they’re outside of your home. Home emergency cover Home emergency cover is often provided as an add-on to a home insurance policy. The cover provides a 24-hour call-out service for home emergencies such as plumbing and drainage issues, loss of power, pest infestations, boiler issues, etc. Household legal expenses Some more comprehensive home insurance policies will include legal expenses cover, while with others it’s an add-on product. Household legal expenses will provide a set amount (often £50,000-£100,000) that you can claim for legal expenses.